The Kosui Asian pear is large and round with a delicate orangeish yellow skin. It has a sweet flesh that is crisp and juicy with a hint of vanilla. Kosui Asian pears are available in the fall. 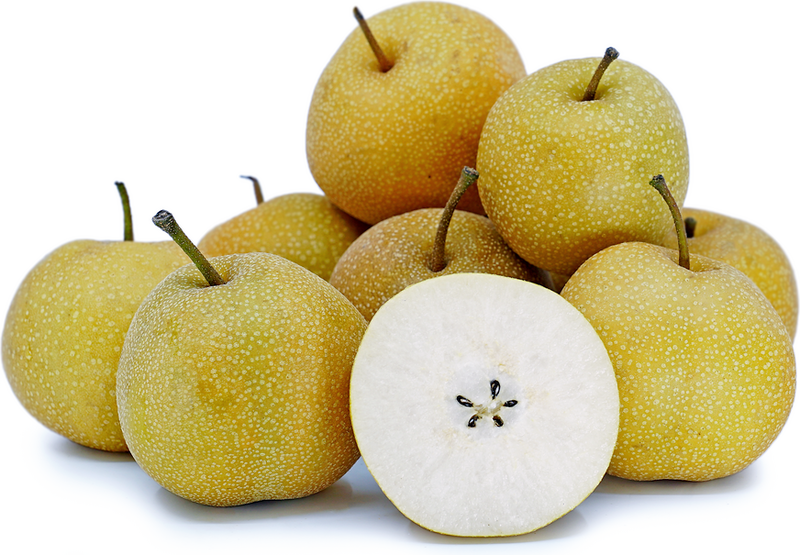 Asian pears are low in calories with about 50 calories per medium sized pear. They are a good source of vitamin C with each pear containing 8% of your daily requirement and provide a fair amount of fiber, most of which is found in the skin. Perfect eaten fresh in a salad or served on a cheese board. Delicious grilled and served alongside an entree or atop vanilla ice cream for a sweet treat. They work well for dishes that require advanced preparation as their flesh does not brown when cut. Will keep stored in the refrigerator for up to one month. Recipes that include Kosui Pears. One is easiest, three is harder.